Welcome to Part 10 (and our final temperament trait) of my Baby Temperament and Sleep Series. If you are just joining us, you may want to start with Part 1, where I define baby temperament. 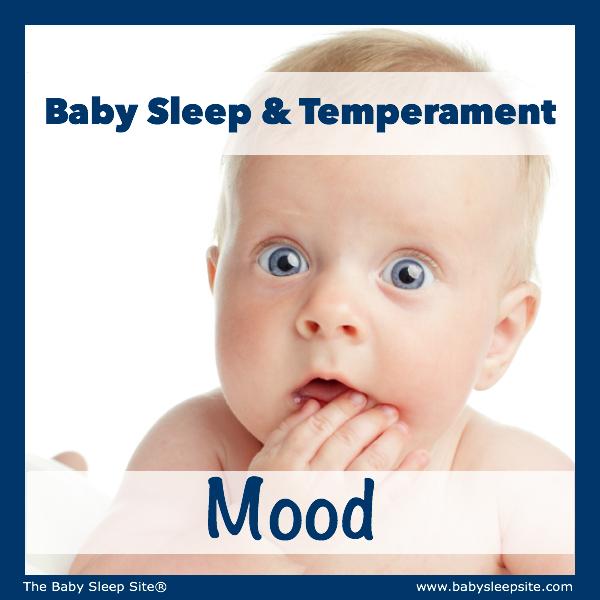 This article will discuss your baby’s mood as a baby temperament trait. In the next couple of weeks, I will give you a quiz to determine your child’s temperament. Your child’s mood is generally how happy and smiley she is versus the child who is more serious in nature or will be more analytical and tell you how to improve something rather than how great it was. According to Raising Your Spirited Child, a specific pattern of brain activity is responsible for your child’s disposition. If your child rarely shows a happy or joyous side of herself, you may want to go to the doctor to test for depression, but overall, she may just be more serious, but this does not necessarily mean she’s unhappy, even as a baby. My sons are generally very happy boys, which makes me very happy, but my eldest son, who once again inspired this site, has his moods. Almost every day he has cranky moments that can be difficult to deal with. It is particularly difficult when he hasn’t gotten enough sleep and his behavior goes out the window. He has more tantrums and small things upset him more easily than when he’s in a good mood and well-rested. This is very common among many toddlers and pre-schoolers, so thankfully, I don’t think this is an area in which he is extreme. How might your baby or toddler’s mood affect her sleep? As I mentioned above, mood can be affected by your baby not getting enough sleep, but his mood can also affect how you approach getting sleep for your baby or toddler. If your baby or toddler is more serious or analytical in nature, you might approach bedtime and nap routines a different way. I can tell my son is analytical, just like me, even though he is still young. I give him lots of choices and allow him to choose what we do, when. This lets him have some control that he (and most toddlers) crave, but also, I notice that as he’s gotten older, he is very logical. If this, then that. He will negotiate a lot and I tend to joke he will be a lawyer one day. Alternatively, if your child is very happy most of the time and isn’t serious in nature, this can make for a very long bedtime routine, especially adding “toddler slow poke time” in. During some occasions when my son is being very silly and I’m trying to get both boys in bed, it can be frustrating when I want him to be serious! If he was like that every night, I could see how that might drive me bonkers. It’s fun when we are both in the right moods, but in the end, it’s my job to get him to bed on time to avoid the whole over-tired mess that can come into our lives. It’s hard having to be the responsible one, sometimes. 🙂 Add to the fact that by his bedtime these days I’m just beat! His energy never ceases to surprise me! Lastly, mood has crept into our night-wakings. There was a time, when he was around 2 or 2 1/2, when he’d wake up in the middle of the night and be very cranky, yelling and screaming! There is nothing worse than screaming in the middle of the night, especially when you’re getting up feeding a baby. Obviously, by now, he hasn’t eaten in the middle of the night in a really long time, but we finally figured out that he was hungry! He must have been going through the growth spurt. The same way a 4 month old might be able to roll over during the day, but not at night half asleep, or a 10 month old who can replace a pacifier but won’t in the middle of the night, for some reason my son never said “I’m hungry.” It seems so simple, but he just didn’t do it. For about a week, we left him graham crackers and water in his room, just in case. It was a phase, like almost everything else in the first few years of their lives. Once again, there are good and bad things about all of these temperament traits. A serious, critical or analytical child can point out things that you might not notice if you aren’t the same type of person. These children are those that might be able to help you make a chore plan for the family or point out why you shouldn’t buy that used car you have your eye on. Stay tuned in the next couple of weeks for the quiz to see where your child lies on the spirited-ness spectrum! What is your child’s mood most of the time? My baby had a starring going to daycare, she was sleeping fine, but now does not. Please need advise on what to do, she is 7 months old. If you need more help, let us know! We’d love to send over more information or links to other resources that can help, just let us know how she’s struggling – if it’s with her naps, nights or both, so we can better help. Hi Nicole! Our 10 month old has always seems to be serious. He smiles and laughs when someone comes up to him with a funny face or gesture but on the whole he rarely initiates laughter. Is it possible to tell at this young age? In many ways, his moods reminds me of me! 🙂 A little skeptical mostly..
My baby is all smiles until he has to take a nap! We are working on a nap routine and it seems to be helping his resistance level. I get compliments on my smiley guy all the time and even when he’s angry anyone can get a smile out of him. I agree with shauna, it is hard to put a happy baby to bed! @Ashley My son didn’t want to miss a thing, either! It’s so hard when they are so smiley. My youngest son is starting to resist a bit more, at times, too even when he’s tired. We still persist and then he goes to sleep pretty easily. Thankfully, he is not as persistent as his brother! Thank you for commenting! My 7 month old is so happy and smiley all the time, people want her picture when we’re out and about. She learned early on that it gets her what she wants! It CLEARLY affects naptime–if she doesn’t want to settle down, she tries to distract me, her daddy, and her grandma with smiling, laughing, waving, etc. Cute, hard not to laugh or smile back! 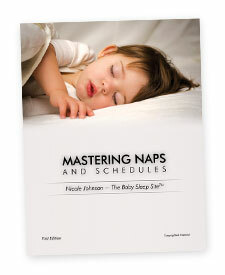 So I can’t even look at her when I’m trying to convey ‘time for nappers’…. @Shauna Awww! So cute! That will be hard to say no to as she gets older. Daddy, watch your wallet! Ha! My kiddo is either ON or OFF. She’s very content or very done! I think most recently this polarity has to do with needing food or sleep. Her mood changes based on the environment: when there’s other kids around she’s very cautious and observant. On her own she’s a busy mover, just like mama. @Anne Your daughter sounds like how my eldest son used to be. He would be happy and then BAM overtired and cranky. When he was a toddler he’d be happy and then having a tantrum the next minute. He has outgrown a lot of it. When he gets hungry he does still go from happy to cranky pretty quickly, but it’s much more manageable now. Thank you for commenting!